A one hour High intensity workout led by the Radiance trainers at OneOcean. Designed especially for you and your crew to help you keep fit, focused & motivated during your stay with us. 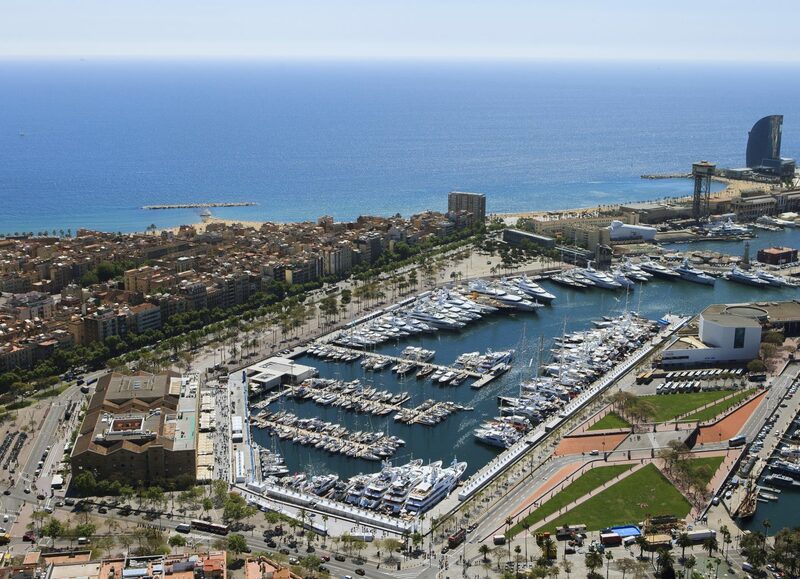 OneOcean Port Vell is Europe’s only superyacht marina of its scale to be located so centrally within a city and capable of berthing yachts up to 190 meters. OneOcean Port Vell offers yacht owners and crew a full range of services including a business centre, crew lounge, gym and concierge. Concierge services include VIP travel, assistance with restaurant bookings and entertainment, personal care and all other lifestyle, business and technical arrangements. OneOcean Club is a 150-cover restaurant and bar on site at OneOcean Port Vell open 7 days a week for members. The outside terrace offers an unrivaled oasis to enjoy an aperitif whilst admiring the yachts in the waters around you. Step out through the marina gates and you are immediately in the heart of the city. An award-winning marina – OneOcean Port Vell won the “Global Project” award at the FX International Interior Design Awards 2015 and the Architizer Award for “World’s Best Marina Architecture 2016”.